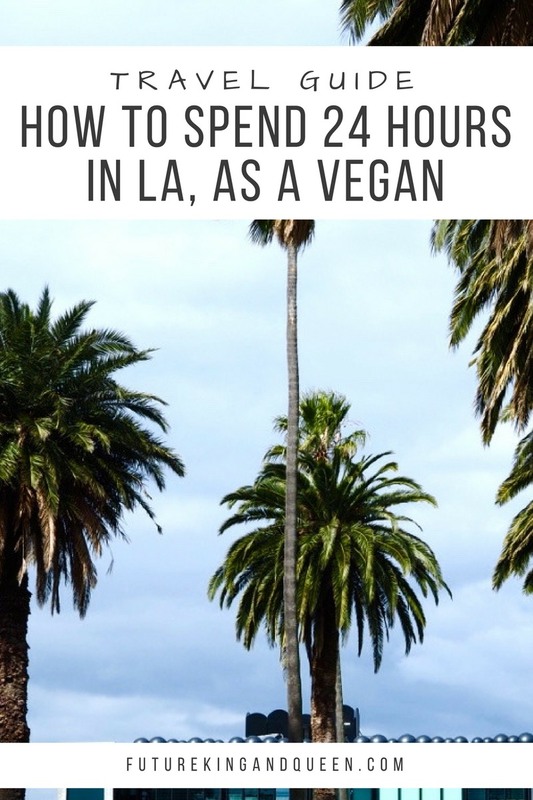 we stopped over for 24 (jam-packed) hours in Los Angeles. After stepping off a plane in LAX at 7am - with minimal sleep over a 14 hour flight - a good coffee was definitely on order. Happily, Los Angeles did not let us down. In the lobby of the charmingly quirky Ace Hotel (built around a historic Broadway theatre) lies Coffee Counter, which takes meticulous care in the way it caffeinates those in need. The beans are sourced from Stumptown Coffee Roasters, and both almond and soy milks are on offer (each resulting in equally delicious flat whites). 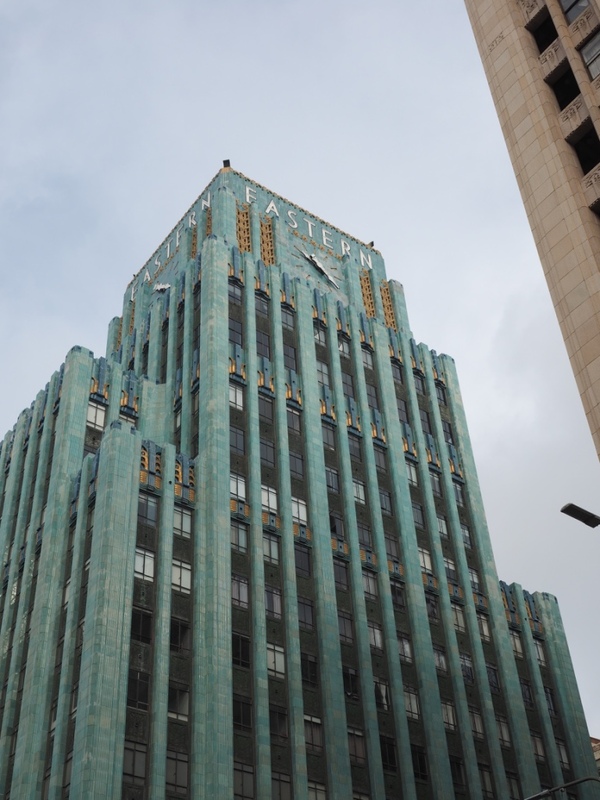 As we discovered, The Los Angeles Arts district houses many unexpected treasures, with architectural wonders from both this century and those prior. As we wandered along Broadway and its surrounding streets, we were constantly stumbling upon beautiful historical theatres, built during the golden age of cinema in the early 20th century. 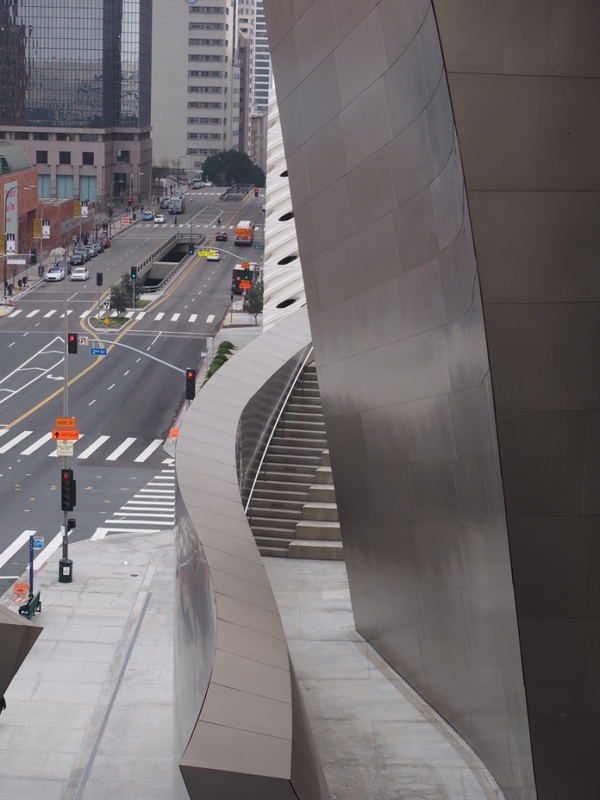 Just around the corner, lies a completely different, yet equally striking building: The Walt Disney Concert Hall. If you're even just remotely into architecture, this place is not to be missed. Take a stroll around the building's exterior, and take in its amazing sights. There's even a garden around the back, complete with picnic tables for those sunny Californian afternoons. Whilst exploring the Grand Central Market (with organic juices from Press Brothers in hand), we came across the Madcapra Falafel stand, and were very, very glad we did. We then headed across town to Santa Monica and Venice beaches for the afternoon, ambling along that famous boardwalk. Despite being the middle of winter, the weather was not at all unpleasant. Thank you Californian weather gods. At Venice we turned inland for Abbot Kinney Boulevard, where we discovered a treasure trove of eclectic boutiques, galleries and restaurants. 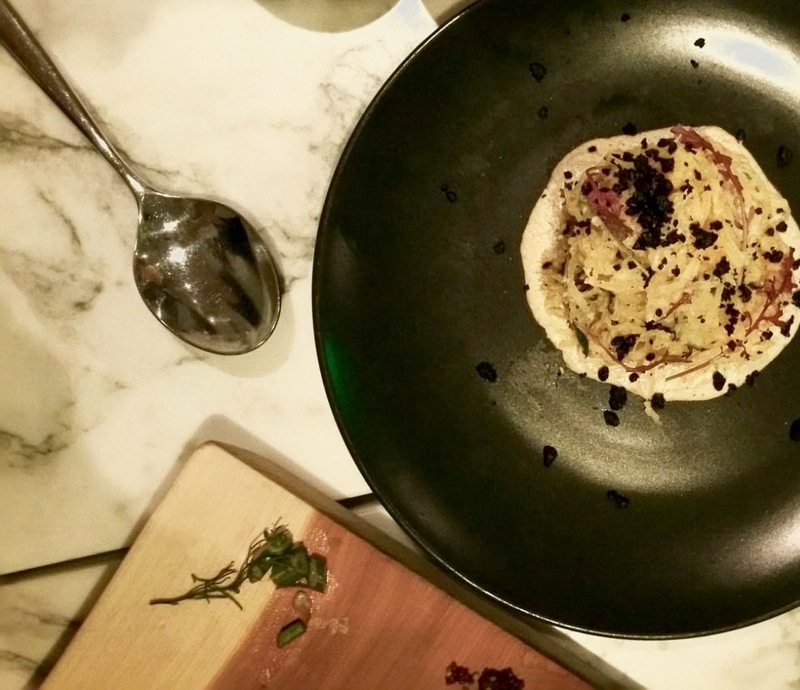 And after we were done exploring Abbot Kinney Boulevard, we settled down for a sophisticated dining experience at Matthew Kenney's Plant Food + Wine. This place really demonstrates how plants can be the star in fine dining. The food was lovely, and was presented beautifully too. We enjoyed all of the dishes, but the stand-out favourite was a ravioli filled with butternut squash, mushrooms and almond feta (there were fights over the last piece). Aside from the food itself, the service was fantastic, and the overall atmosphere managed to be sophisticatedly elegant, but still light-hearted. We love seeing places/innovations/businesses like this that challenge the stereotype of what is typically vegan, and show that cruelty-free, environmentally-conscious living is indeed no compromise. Read next: What to Eat at NYC's Chelsea Market (Vegan).